On Saturday morning, nine Circus Fitness participants walked invisible tightropes, formed a human pyramid, juggled and balanced chocolates on their heads! NHK talent, Jason, joined us and wrote about it on his website, with some cute photos. 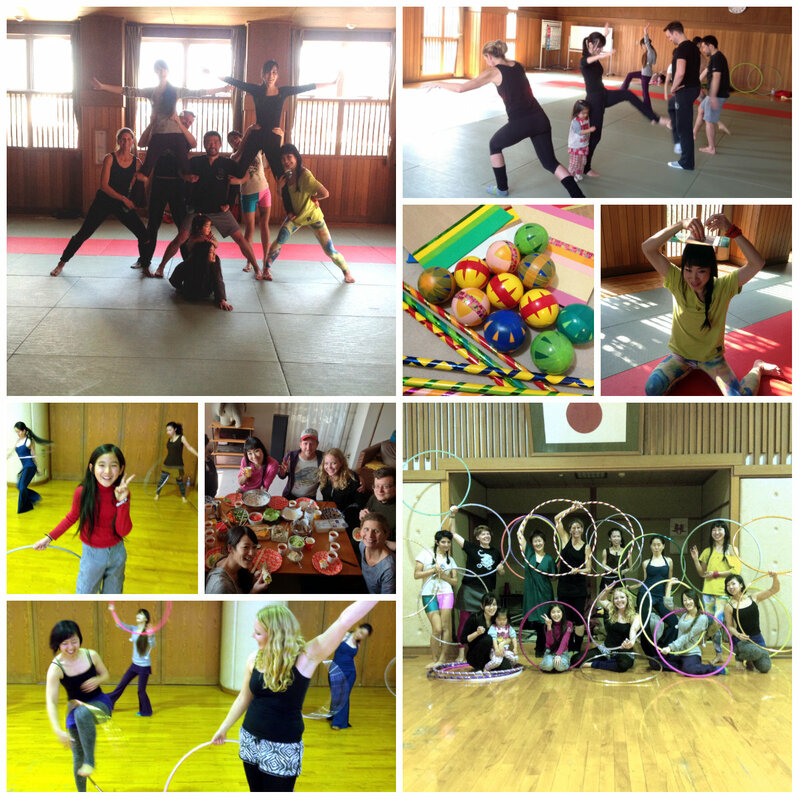 After a shared lunch, we were joined by a few extra hoopers and learned new tricks with Jo Mondy, visiting from the UK. I know that Japan’s hoopers will be mastering escalators and butterfly hinges in 2014. Thanks, Jo, for sharing your enthusiasm and ideas. ← 2/1 Circus Fitness WS + Jo Mondy Hoop Tricks WS. Tickets on sale now.